CLAUDIO BISIO is a native Italian who hails from Varinella, a tiny village (pop. 252) in the mountains of southeast Piedmont near the wine town of Gavi. Like many Italians, the Bisio family had a tiny vineyard and made wine for their supper table. As a boy, Claudio’s chore was to weed the vineyard. He had more fun, however, accompanying his uncle, a trattoria owner, on wine-buying excursions to the local cantina sociale. Subsequently Claudio learned about wine outside of Piedmont through his extensive travels while working in the tourism trade. For 10 years he planned tours and menus as a guide for various American and Italian tour operators. 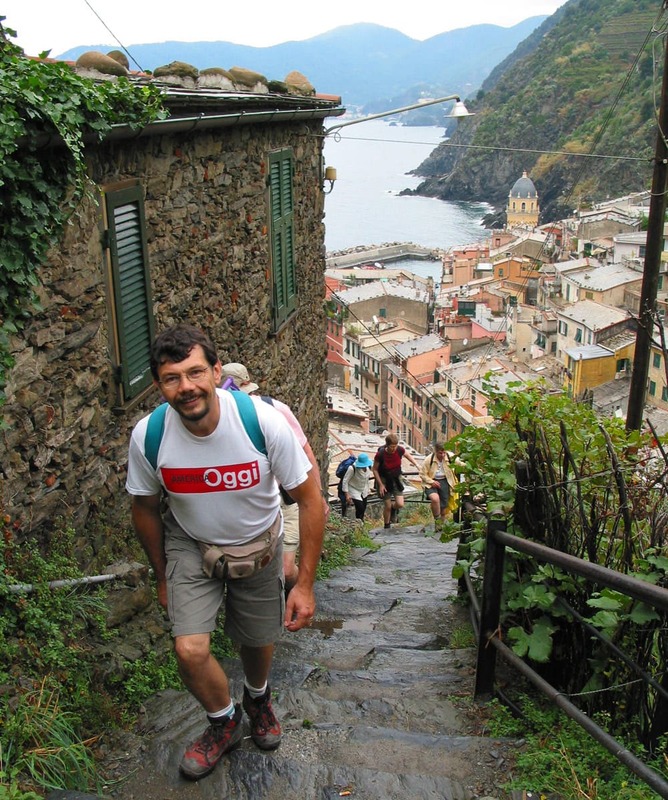 Then in 1999, he cofounded La Dolce Vita Wine Tours with his wife and business partner, Pat Thomson; he acts as the company's tour designer and guide. PATRICIA THOMSON is an American journalist who writes about wine. 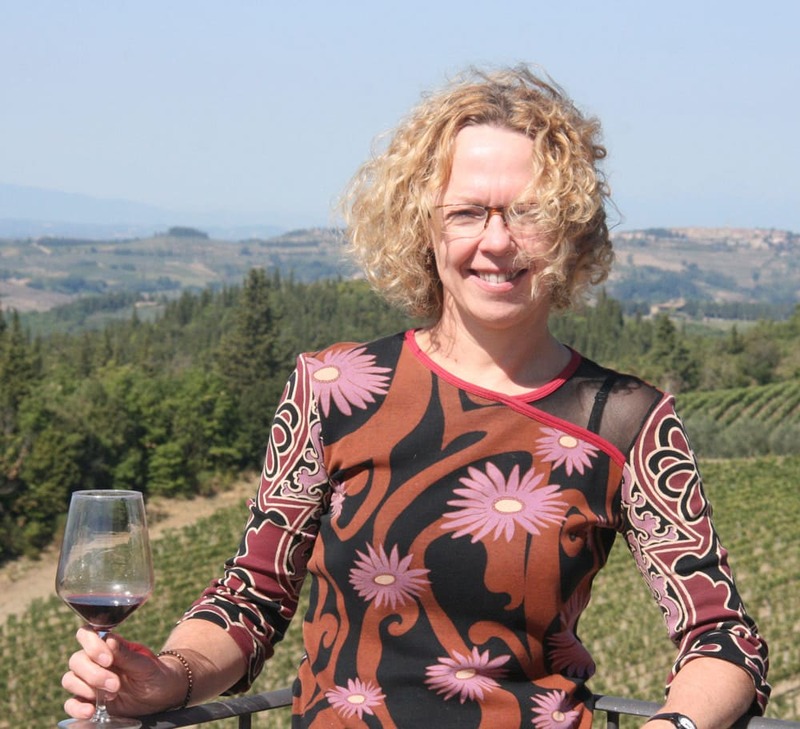 She is a regular contributor to Tastes of Italia and has written for Decanter, Wine Enthusiast, World of Fine Wine, Gastronomica, and other magazines. Her travels to Italy began in college, when she studied Italian Renaissance art in Florence. After getting her Masters in art history, she moved into journalism full-time. Pat's interest in wine began during that same trip; every evening, she and some peers would sit on the loggia of Pensione Bandini with a chunk of pecorino, a fresh loaf of bread, and a bottle of young, fruity Chianti. Regular excursions to wine country around Italy and the US followed, then formalized study through the Wine & Spirits Education Trust. Pat and Claudio met while biking in Piedmont and now divide their time between Brooklyn and Italy. A member of the Society of Wine Educators and the Wine Media Guild, Pat leads tours in Italy and directs La Dolce Vita's US operations.